New Jersey and New York can be – with no traffic – a mere 5 minutes apart via the George Washington Bridge. It’s about the same through the Lincoln or Holland Tunnel. Aside from their closeness as Hudson River neighbors, New York and New Jersey are far apart on their approach to debt collection. 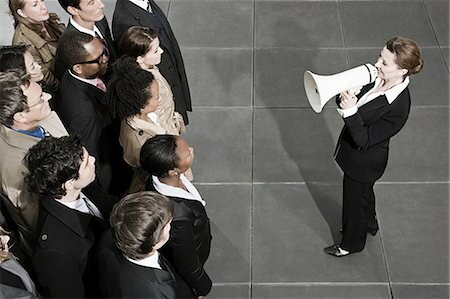 You need to make sure your “voice” is heard when demanding to be paid during your New York Debt Collection process. People always say that it’s in the “ask”. How are you asking to be paid? An advertising client sent over a large claim against a hospital. The claim, a sizable balance, was forwarded with the name of the A/P clerk in charge. We called several times but were never able to reach the clerk by phone. Voice mails were unanswered. Our email might have been in the inbox buried below more urgent requests, deleted, trapped in spam…. The letter mailed and delivered by the US Post Office, who knows? Realizing we were not being heard, I elevated the demand for payment and called the CFO’s office. When returning the call a few hours later, The CFO, tried to refer us to the hospital’s A/P clerk. You know the one, the one who ignored us. No thanks.